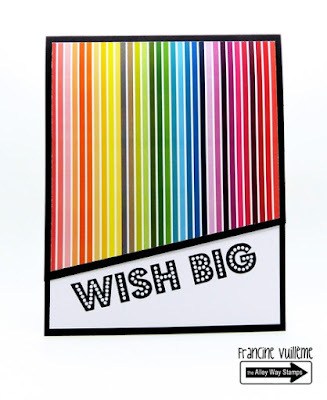 Hey everyone - it's Michelle here and today, I have a video showing you how I created a washi tape covered die cut. I covered a piece of paper with washi and then I used my Silhouette to die cut the large word. 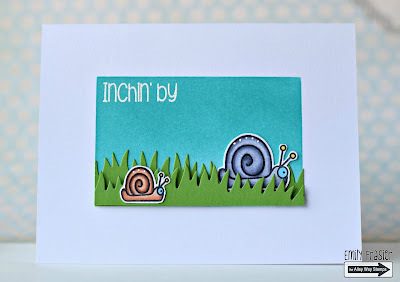 However, you can do the same with metal dies and a manual die cutting machine - it should work the same since the washi is quite thin and doesn't add much dimension. 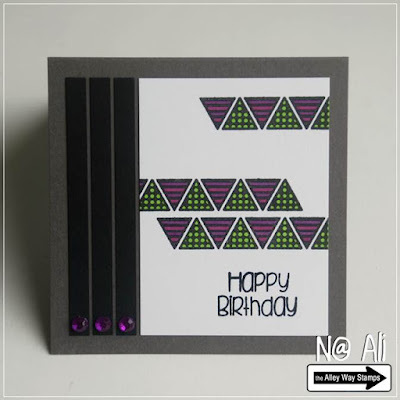 To make a nice background for my die cut, I repeatedly stamped a small star image (from this stamp set) to create a falling star-like background. I also colored in a little birdie (from this stamp set) to rest on my "T."
You can watch the video below to see the process. Hi everyone! It’s Francine. The new Lite Brite set is so versatile! Here is a birthday card I made with this set. Hello, it's Emily. Today, I'm sharing a card made with the set called Twinkle Toes. 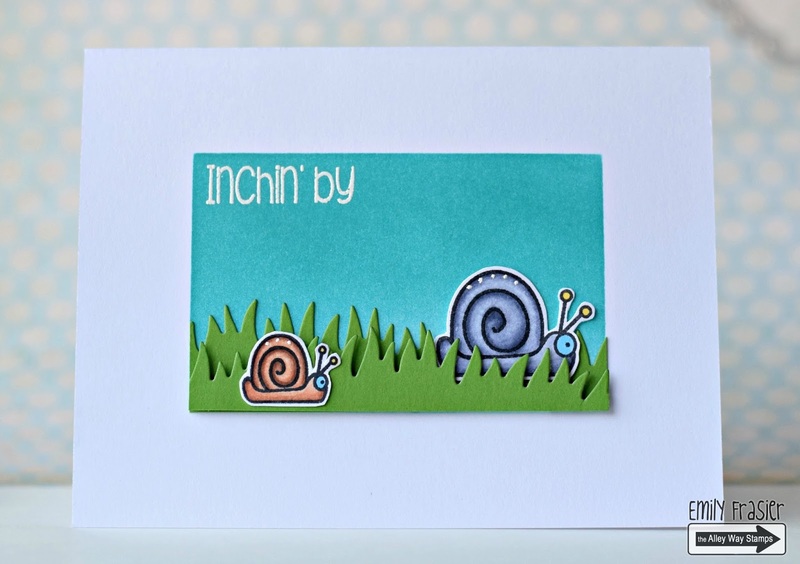 These cute snails were colored with Copic markers. 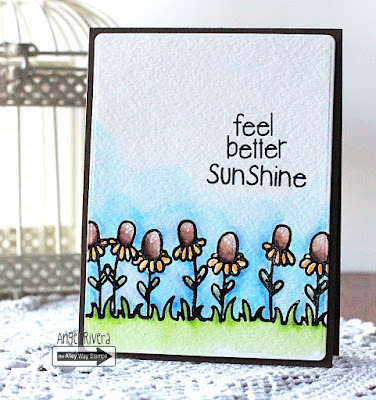 The background was distress inks. Hi it's N@ Ali. I used Tri-Me and Rock Solid for this masculine card. Hi! 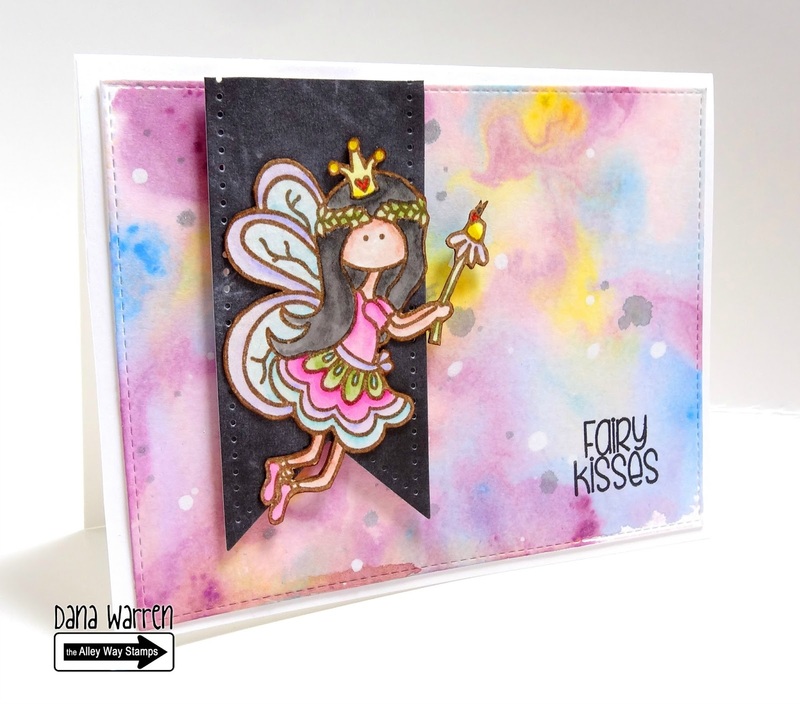 Dana here with a card featuring the new Twinkle Toes stamp set!! Such a cute set with so many possibilities! I played around with the fairy and paired here with a fun background!! SUPER fun and WAY cool cards!!! I am headed off to watch the video - always learn something from them so thanks SO MUCH!! !